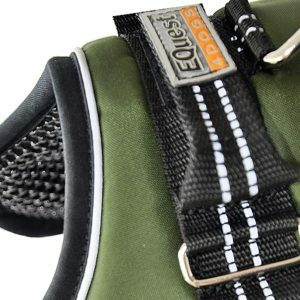 These are harnesses which go out of the range in terms of brand or color, so we sell them at a very attractive price. De numbers you see at stock will be really the last pieces. Gone=gone and can no longer be ordered. 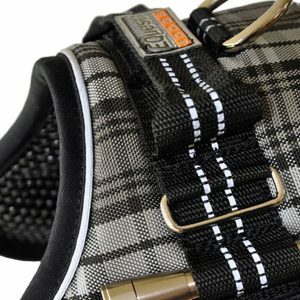 These harnesses are of the brand Doxlock. Very nice looking harness and specially the pink camo was very popular. Now for sale, so take your chance. To be sure you buy the right size, please take a measurement and measure the chest girth of your dog. Start at the top between shoulders, go down behind the front legs and coming up again to starting point. Please not to tight, with large dogs you could stick your hand between dog and measurement and with small dog two fingers. 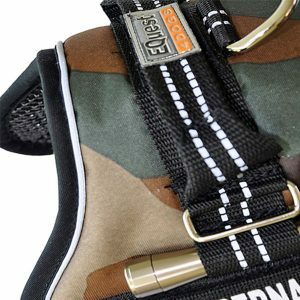 Now you have the centimeters and you can choose your best fitting harness.